We all have heard the cliché ‘speed thrills but kills’. You might be riding your bike as fast you might want, but the fact remains that there will come a time when you will want to stop. And when that time comes, it is not your accelerator that will offer value but the brakes. However, if your brakes are defected or improperly installed, it will be next to impossible for you to slow down or stop when required. This not only poses serious safety concerns for the rider on the bike but the bikers in close proximity as well. There are several factors that might contribute to the failure of brakes. From the parts manufacturer to the motorcycle manufacturer to the garage that installed the brakes, there are numerous individuals that might be at fault. Did you think failed brakes were the only causes of motorcycle accidents? If you think the answer is yes, you are sadly mistaken. It is so because defects in tires can lead to serious motorcycle crashes and accidents just the same. People often assume that tires are only causes of concern when it comes to passenger cars. However, the fact remains that defected tires tend to be an even bigger problem for bikers. It is so because defects in tires often cause the tread to separate from the tire. This causes a blowout due to which the motorcyclists are unable to maintain control of their bikes and end up being victims to serious crashes. Problems tend to arise with the fuel system of your motorcycle as well. As a result of the open nature of the fuel system and the close proximity of the rider’s body, such problems often lead to burns. Injuries to the legs are common outcomes from such scenarios. The defects in motorcycles mentioned above are some of the most common defects due to which motorcycle accidents occur. However, the fact remains that there are not the only parts that play a role. If you think about it, every component of the motorcycle plays a pivotal role in the operation of the motorcycle. This is the reason why a problem with even the most minor part will be enough to bring about accidents. From defective handlebars to inappropriate design, the reasons for accidents can be several. When you take it all into perspective, you have to say that there are numerous possible defects in motorcycles that can result into traffic accidents. This is the reason why motorcycles need to undergo regular maintenance, for not only the purpose of their efficiency but the safety of the motorcyclists as well. 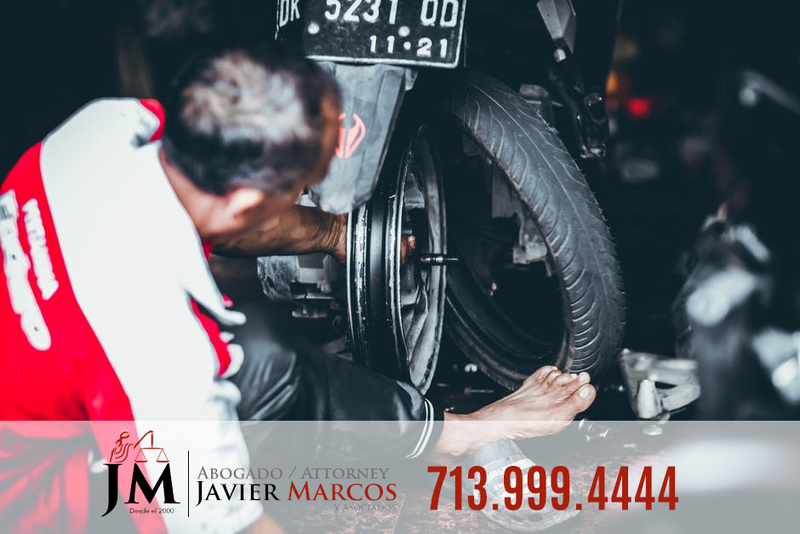 If you have had a problem with your motorcycle due to defects in motorcycles, call Attorney Javier Marcos for help. He is a personal injury lawyer that can defend your rights and help you with your case. The office is open 24 hrs and the consultation is free. Call now 713.999.4444.